The only daily news that matters!! My favorite podcast. Always entertaining and informative. Start your day with James & Matt like I do! Every Monday - Friday first thing I do when I wake up, is turn on Good Morning America and download the latest episode of Broadway Radio which I listen to as soon as I head out the door! Breaking theater news, and surprisingly woke conversations (for two straight white guys ;-) ) are a pleasure to listen to every day! I could do without the occasional sports chat, but ces't la vie! Smart,honest,thoughtful,knowledgable,witty,caring,serious,educational,,current,and insighteful. Seasoned theater critics that explain their opinions with intelligence and a history of theaters past to draw from. It’s confounding how they mispronounce names consistently. If you’re going to be the broadway radio broadcast please don’t disrespect artists by not knowing how to pronounce their names ! I am in Oklahoma and get to go to NYC once a year. This podcast helps me narrow down my very long list of shows. News, Reviews & Interviews, oh my! This show is a lifeline for a west coast actor interested in the New York theatre scene. Whether it’s the daily news format, interviews with industry professionals or reviews of various shows, this podcast is integral to getting all the latest information! I love listening to This Week on Broadway, and Today on Broadway brightens my spirits every morning. I'll add a dissenting opinion: I hate when the shows are too short. Also I love the intro/outro music quite a lot. Thank you! Overall I enjoy BroadwayRadio. I go the city as often as possible to see shows and this podcast keeps me up to date on what is going on. HOWEVER (and some of these have left me considering unsubscribing, so I think they are worth mentioning), every time they come up with a new concept that podcast automatically downloads too. I can see doing this as an introduction, but I should have a choice of which of the many different podcasts that automatically hit my phone (this week on Broadway, today on Broadway, the sound of musicals, class notes...). It's a between like when U2 decided I just had to have their album on my phone; no, I don't. Secondly, sometimes this week on Broadway runs wayyyyy too long. When I see one that is bordering on two hours, I have to think long and hard about whether I'm going to invest that kid of time. It needs some streamlining. But, as I said at the beginning, I do find value in the multiple viewpoints offered on the podcast. I really love this podcast. Big theater fan here not living in NYC nad love keeping up. Keeps me from having to read all the websites...daily, consolidated theater news. But for a podcast that is put out daily, 20+ minutes is just too long. 10-12 minutes of solid news (less banter, please) would make me be sure to listen to it every single day. So many podcasts out there, a daily podcast should just be shorter. That being said, keep up the good work. ... a one-star demerit for continual mispronunciation of names. Maybe it's understandable to miss (George) Takei, but Lunt-Fontanne? Please do better. Love every single podcast in your network. Keep up the good work! I would give it more stars, but I have come to realize James really doen't contribute much to the podcast and is so low energy I wonder if he is paying attention sometimes. That said---I love Matt! Has a lot of information, He should do the show by himself. Love the short daily podcasts. They're informative and funny and just long enough. Can't wait to see what's next. Broadway Radio has become my new "walking music" on my phone - I haven't found an episode I thoroughly enjoyed! My obsession! I listen daily on my commute to work. Best Broadway podcast I have found and I have sampled a lot! Around the country and the world, this FABULOUS (set of) podcast(s), makes us feel connected to the theatrical world we love. Daily. This podcast fills such a major want for so many of us and they do it with charm. A theatre-lover's podcast dream come true. The best part about the podcasts are the weekly updates with Peter and Michael. They are great, thoughtful, and all-knowing in the Broadway community and dispense valuable bits of history and review. Love them, and could do with a lot less of James’s terrible jokes/segues/puns. Love the "today on Broadway" feature best. Seeing as I live quite far away from New York, it is nice to have some inside information on the goings on of theater. I have been hooked on this podcast since it debuted. I love the chemistry and knowledge of James and Matt. They are very quick witted and personable, and share their opinions in a kind way. This daily podcast is well paced and never dull. Check this out! Perfect for musical theater lovers. Broadway and West End news. Musical-related TV & Film news. Awards season coverage. Great hosts. Don't Always Agree, But Always Listen! I appreciate the variety of shows reviewed by BroadwayRadio and particularly enjoy the daily theater recap. Best and most fun way to get up to date on all the latest broadway buzz! Thanks guys! This is my go-to resource to stay up to date with Broadway news. Love it! Awesome job guys! Took a while to find a great podcast about Broadway but finally found it. Thanks! I have really enjoyed the weekly shows which go in depth reviewing both on and off Broadway shows. I like the daily updates which tend to be more about breaking casting news, etc. Love the podcast, especially the now daily dose of Broadway. They are knowledgeable and passionate about theatre. THIS WEEK ON BROADWAY has been the highlight of my week for years. Now I look forward to listening to TODAY ON BROADWAY every day! I feel as if I am hanging out with friends chatting about the thing I love best - Broadway! The BEST way to get all your Broadway news! Love hearing all the news!! So cool to come to my phone every single day!!! Thanks for keeping us up to date. I don't always agree with your reviews but it is nice to hear different points of view. Today on Broadway has become required daily listening! So often all we hear is "that was amazing!" when an actor walks onto the stage and talks. These guys actually watch the shows with a critical eye and give their honest opinions. It's not always warm and fuzzy. When it's critical, they are able to describe exactly what it was they didn't like: the book, the set, the casting choice, the actor couldn't sing it well, the sound design, the score, etc... I appreciate that specificity. I also like that they don't always agree with each other and can disagree respectfully. It's refreshing. And as a theater professional who does not live near NYC, I actually learn about workshops and other opportunities from this show. I've been a faithful listener since the beginning. 2008-2009? I don't get to NY or Broadway nearly as much as I'd like too but listening to this podcast puts me mentally right in the heart of it. 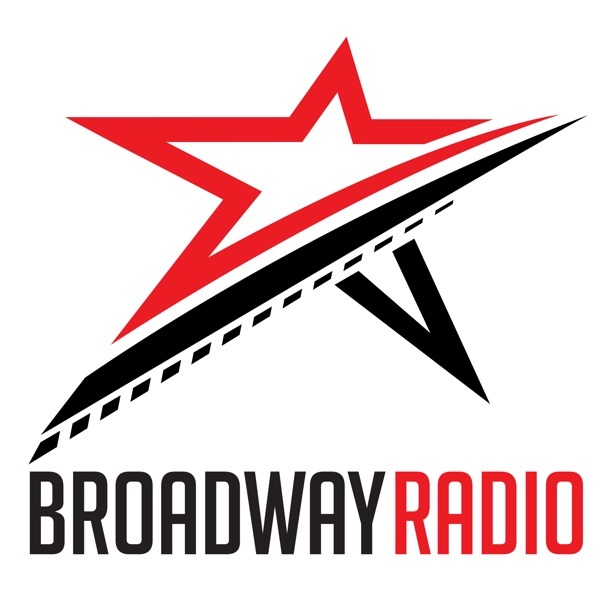 There's a weekly panel of reviewers talking about the most recent openings in and around Broadway and new this year there's a short daily Broadway news related podcast that keeps me up to date! I love it! This podcast just gets more and more rewarding with each listen. Check this podcast out! "This Week on Broadway" is a podcast I look forward to every week. The three hosts (James, Michael, and Peter) form one of those perfect podcast groups—they play off of each other well, have complementary areas of interest/expertise, and have their own senses of humor. So it’s unfortunate whenever someone is gone for the week (especially Peter, the ultimate Broadway historian). I disagree with at least one of them every episode, but that makes it more engaging. The newer Monday to Friday “Today on Broadway” series is something I listen to EVERY morning on the way to work. You might be getting daily theater news in your Twitter feed, but this provides much needed context, asides, and some rest for your eyes. I happened upon this podcast about 3 and a half years ago when searching for a theater podcast to check out, and I've been a loyal listener each week ever since. Can't praise this podcast enough. James is a great host and clearly loves putting the episodes together, and the two "regulars", Peter Filicia and Michael Portantiere, provide excellent commentary on current shows from Broadway and beyond. Even when I don't agree with their opinions, I always walk away having learned something new about the piece/actors/creative team, and I find their discussions lively and entertaining. All of the contributors know their stuff, and have an incredible depth of knowledge about theater. I've tried to listen to other theater podcasts, but none of them can hold a candle to This Week on Broadway. Hope they add more old episodes to the archives! I’ve been listening to this podcast for a couple of seasons. I look forward to it every week. It is entertaining, current, and very informative. There is a review aspect to this cast, but it goes far beyond that. Thanks guys! This is the best Broadway podcast that is available. Amazing guests, great reviews, spirited debates, strong opinions - every week, these gentlemen deliver another engrossing and enlightening episode. Thank you James, Michael and Peter for your insight, your candor, your expertise and your enthusiasm for all things Broadway. I go to New York to see plays once or twice a year, and these professionals really tell it like it is. Thank you Peter Filichia for bringing your vast knowledge and experience of Broadway to me ech week! You can try reading the NY Times and the trades alone to keep up with theatre in NYC, but the discussions on BroadwayRadio really round out the picture in a way that individual articles here and there just can’t do. Love the show! When you live in the Southwest, a lifetime away from either coast, getting to hear about what's happening on stage in NYC is a welcomed relief. I enjoy listening to these three guys plus guests sitting around talking Broadway. And while I would like the interviews to be a little more in depth--beyond, "So, what's your next show?" and more "Mr. Sondheim, why is death always in at least one song lyric in each of your shows?" --on the whole I find the talk always engaging. These guys and their friends know Broadway and the theater and hearing their opinions is always fun. I love this podcast and can't wait to listen to it each week. The people who run it are the absolute best and know so much. Their knowledge and history with theater is outstanding! This is a valuable addition to anyone who loves or is in the Theatre--Broadway, Off-Broadway and out of town, performer, box office, audience member. Insightful hosts, candid insider guests, and a conversation style you feel a part of just by listening! I love this podcast. I don't always agree with their thoughts. They really don't like Andrew Lloyd Webber and other commercially popular musicals but I respect that they are looking at things more critically than I would. They are very respectful in their opinions so that is good. Every week, I eagerly await the next episode of "This Week on Broadway." This is a wonderful podcast for Broadway fans, and those just wanting to know whats going on with the performance scene in NYC. What I most appreciate is that the hosts (James, Michael and Peter), really love NYC and Broadway. Their reviews are always insightful, and they really do care. So if a show has potential, they'll say that rather than be negative. The NY Times theater page could really learn alot from this show!